Hennessey, the Texan car tuner is known for its bulky, muscle cars. And when John Hennessey himself suggested that you mate a twin-turbo Chevy LS V8 engine in that of a Lotus Elise, you are bound to know the outcome will be crazy! 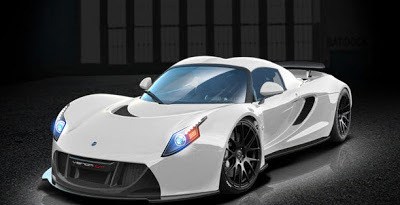 That's what has happened with the new Hennessey Venom GT2, an already-bonkers, sports car that is set to make its debut in late 2013. Unthinkably powerful, more than the Venom GT's 1,200HP, the Venom GT2 gets a twin-turbocharged 7.0-litre V8 engine driving it nuts at an unstoppable 1,500HP! That's 1HP/Kg of raw power (which also puts it in the race car category)...and all of it is delivered to the rear wheels through a 6-speed manual transmission. There is option of a 7-speed paddle-shift automatic transmission as well. 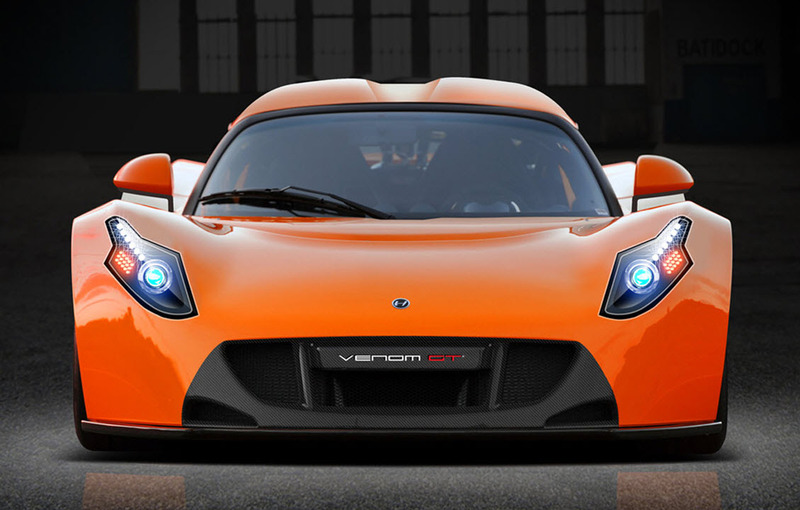 While, the new Venom's performance figures have yet to be released by the tuner, it's an easy guess that the Venom GT2 will out-perform the Venom GT's figures of 0-100kmph in 2.5 seconds and a top speed of 420kmph. Unbelievable!! Considering these numbers, it's not wrong to say that the Hennessey Venom GT2 will walk all over the likes of Bugatti Veyron and other superfast cars! This "Veyron-killer" is irresistible! But, that being said, Bugatti is already considering the release of a new model that will have 1600HP power! While 10 Hennessey Venom GTs have already been sold, it's clear that there are buyers who are willing to spend more a $1M to buy these luxury super fast sports cars. So if you fancy a 2013 Hennessey Venom GT2, just be ready to shell out $1.25M only!